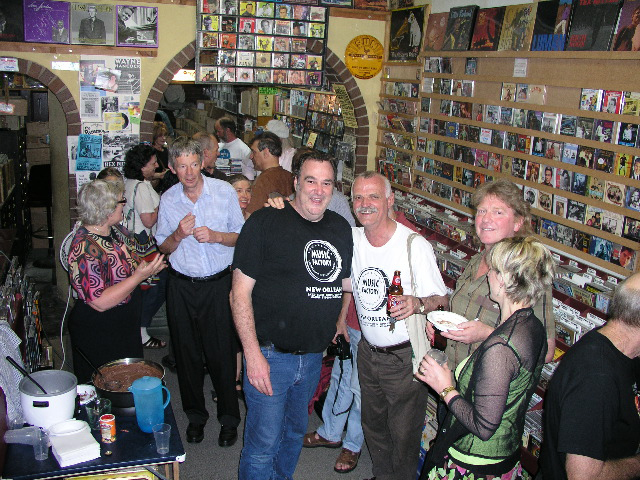 Those Two Daring Pirates was launched in West Melbourne at Hound Dog’s Bop Shop, a record shop specialising in original and reissues of rock & roll, rockabilly, hillbilly, country, blues, soul, jive and boogie. Thank-you to The Pelican Duet for the music, Denys Williams for the venue, Elaine Haby for the serves of red beans & rice, and Peter Haby for the New Orleans themed collage that runs along the spine of the slip box. Without you, this would not have been possible nor nearly as much fun. 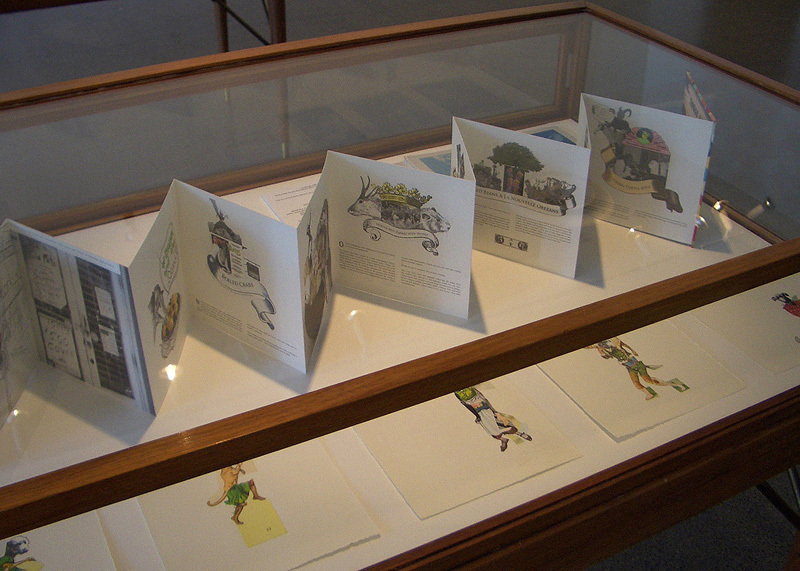 This artists' book was later exhibited as part of Ex Libris (2005), and The Banyule City Council Works on Paper Art Award 2005. 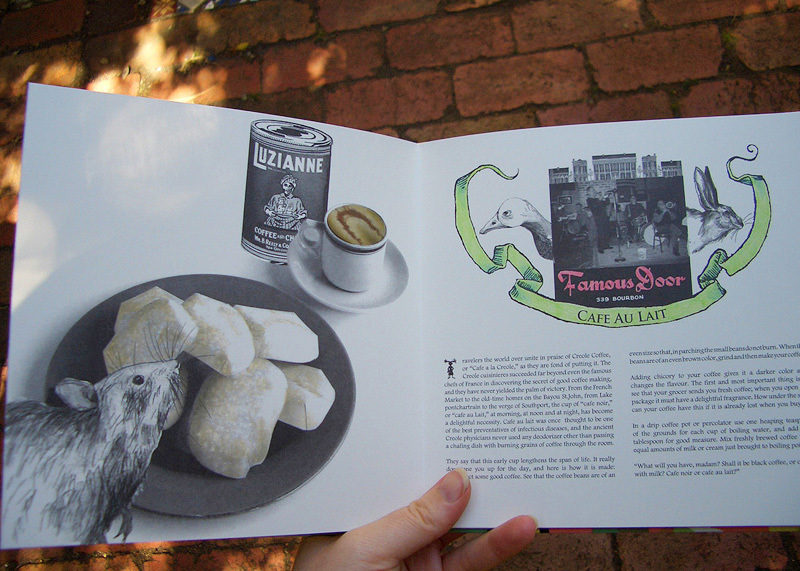 Editions of this book are in the collections of the State Library of Victoria, the State Library of Queensland, Melbourne University Library, Monash University Library, and the National Gallery of Australia (formerly as part of the Ergas Collection). Colour and texture, abstract script and poetic text, the control of the printed process and the chaos of “the mark”. Books as objects of beauty in their own right is a notion generally familiar only to designers, collectors of antiquaries and aficionados of that esoteric item: the artists’ book. Publisher George Matoulas would argue that the object is not a book unless it contains some text and is bound in some way, but judging from the variety of techniques, media and forms represented in the collections of the State Library of Victoria and the Mackay City Council, Queensland, his criteria has been very loosely interpreted. Whilst 1316 and Those Two Daring Pirates are in their ways both hands-on artist-based projects, Matoulas's Lexicon House publishes limited edition illustrated books in the classic European tradition of hand printed letterpress and fine binding. Himself a painter, printmaker and master bookbinder, Matoulas encourages a three way process between artist, writer and publisher/designer. 1316 has cultural connections to Rome, Wanderlust to Berlin, and Those Two Daring Pirates to New Orleans. Of the three, Those Two Daring Pirates uses the most contemporary technology and is the most obviously personal. In fact it is Gracia Haby and Louise Jennison's ninth book together in a partnership that often involves members of their families helping to construct or contribute to various aspects of their book making. 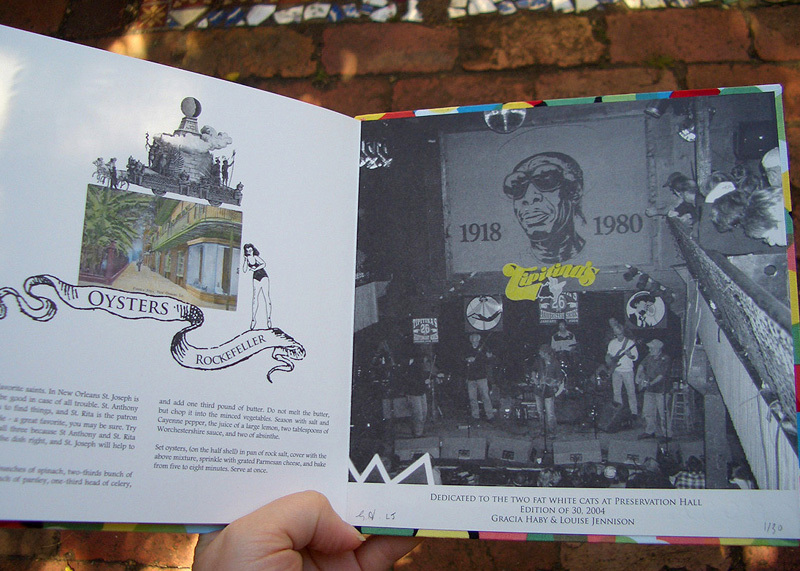 Haby's connection to New Orleans stems from her parents continued enthusiasm for the temporary home they made there in the 1970s. Early last year she accompanied them on a nostalgic return trip, while Jennison remained in Melbourne minding the fort and collating the material Haby sent back. 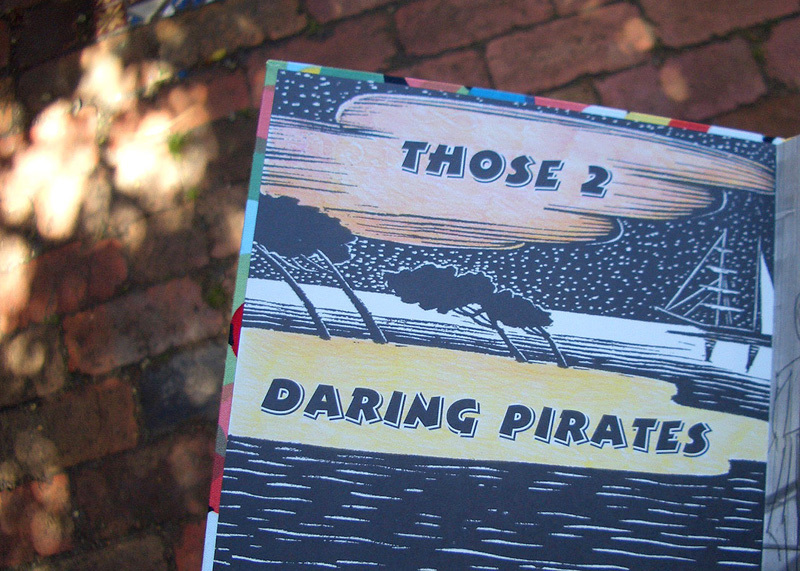 Those Two Daring Pirates is a collage of family snaps, memorabilia, found recipes and the beautiful drawings of flora and fauna which are signature Haby/Jennison. 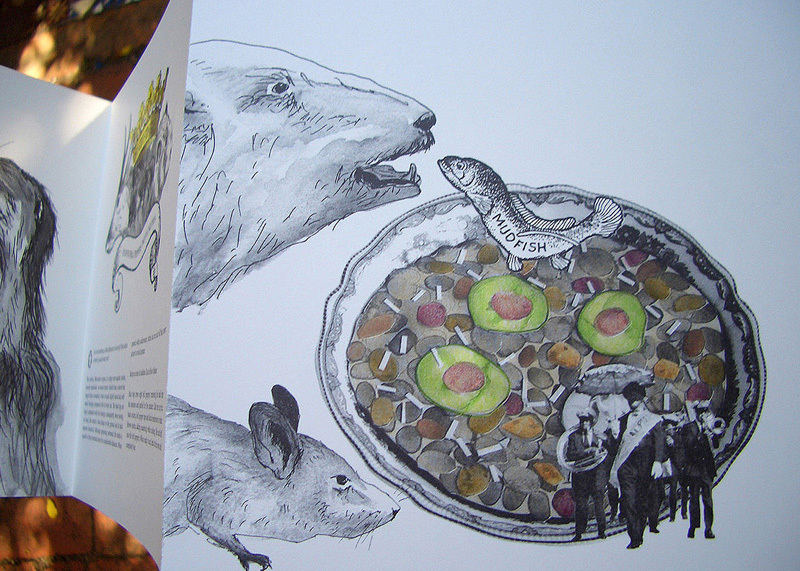 Haby and Jennison met in art school, where both kept journals and made book-like artworks. 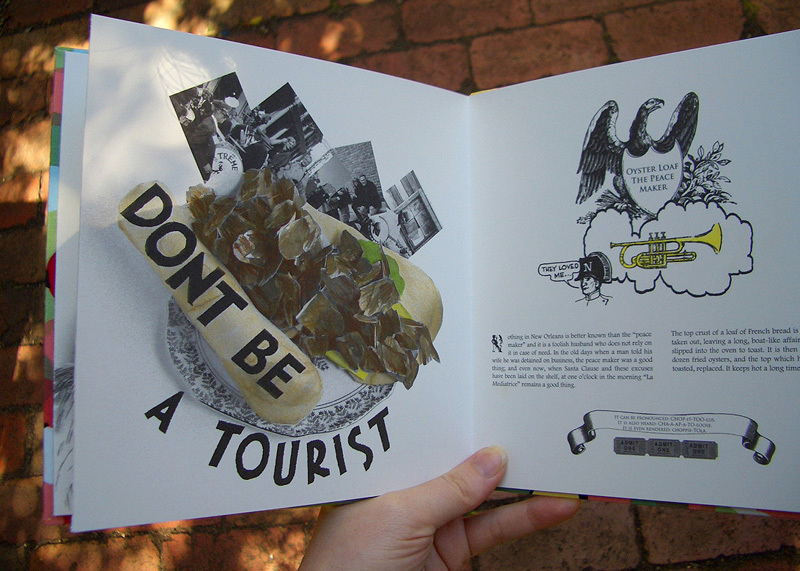 They continue to work on solo and joint book projects, with other artists producing low-tech zines, and producing a range of handmade journals which represent their foray into commercial enterprise. Like all the artists mentioned, they have other jobs to augment an uncertain income, and to allow them to put the proceeds from the sale of books into new projects. Which brings us to the vital question: why make books? They are expensive to produce, labour intensive, and often take two or more years of the artists' life. The answers are as varied as the artists, but one response remains a constant: the seductive intimacy of the book. 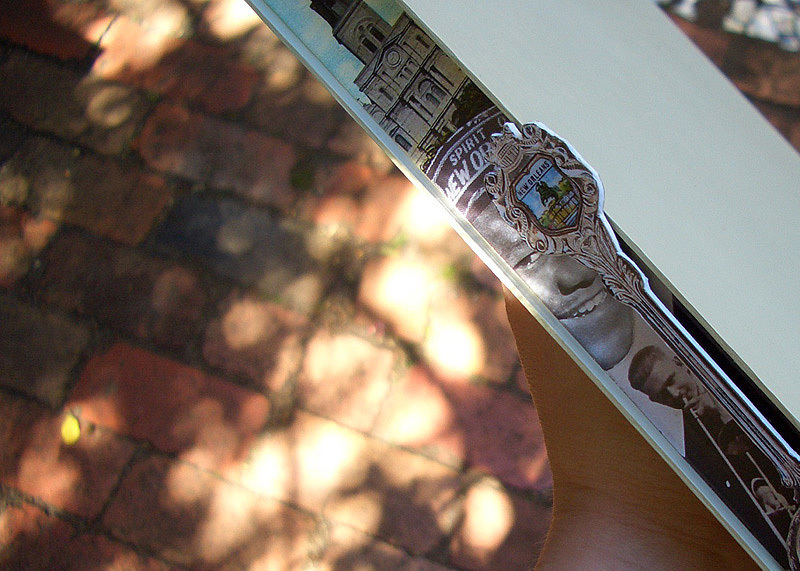 Of all art forms, the book is one of the few which can be handled, caressed by hand and eye. As a repository of thought and image, the book easily becomes an addictive object of beauty.